When Dr. Lifang Hou was a physician in China, she noticed that although many life-threatening diseases come with warning signs, cancer often creeps up without any alerts. Hou’s research in cancer prediction and prevention earned her a spot as one of 27 cancer experts nationwide who will join Vice President Joe Biden’s Moonshot Cancer Initiative. The initiative, announced by President Barack Obama during his final State of the Union address in January, aims to accelerate cancer research in order to improve treatment, prevention and early detection. Hou will serve on the initiative’s Blue Ribbon Panel, which will provide scientific guidance to the initiative. The panel is a unit within the presidentially-appointed National Cancer Advisory Board, which is collaborating with Biden’s initiative. “This Blue Ribbon Panel will ensure that, as (National Institutes of Health) allocates new resources through the Moonshot, decisions will be grounded in the best science,” Biden said in a news release published by the NIH. The panel, comprising expert scientists, patient advocates and cancer research leaders, includes doctors from schools such as Harvard University and Johns Hopkins University. Hou is the only representative from a midwestern university. Hou said she received a letter — which cited both her cancer research and leadership roles at NU — inviting her to join the panel. She said she’s not only honored to be part of the team but excited to work with other cancer experts whose research focuses on areas different from her own. “I’m the only one in the big Chicago region, and so I’m sure in the Chicago region there are many much more senior, successful cancer researchers, so I’m honored to be part of it,” she said. At Northwestern, Hou conducts research on populations, identifying environmental and lifestyle health risks that may play a major role in cancer development. Her studies fall under the umbrella of epigenetics, the study of how various external factors affect genes. Hou said her interest in cancer risk factor identification began when she moved to the United States in 2002 to continue her studies at the National Cancer Institute in Maryland. Her research later expanded to include cancer prevention through clinical investigations and data analysis. 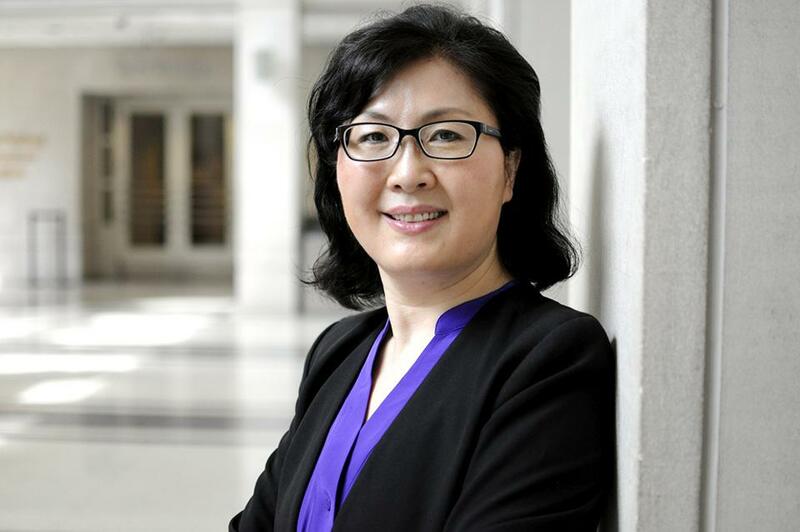 “After I identified risk factors or at-risk individuals, the very next step is how to prevent them from developing cancers, so since I joined Northwestern in 2007, this has been my research goal,” Hou said. Today, Hou is not only chief of cancer epidemiology and prevention at Feinberg, she is also a member of NU’s Robert H. Lurie Comprehensive Cancer Center, where she serves as director of global health. Hou currently leads a group of more than 10 researchers who focus on identifying epigenetic indicators for cancer through data and statistics. Hou said her experience at Feinberg has been enhanced by the opportunities she has had to conduct interdisciplinary research and collaborate across both national and international research institutions. It is this kind of collaboration that Dr. Donald Lloyd-Jones, chair of Feinberg’s department of preventive medicine, and Dr. Leonidas Platanias, director of the Lurie Cancer Center, said Hou excels at. Lloyd-Jones said he was excited to hear about Hou’s invitation to the panel and encouraged her to take the opportunity. He added that she is one of the leaders in the country, if not the world, in helping understand the role of epigenetics in cancer. “Dr. Hou’s working in an extraordinarily important area that links our environment and our behaviors to our genes and helps us understand how we actually use those genes … in ways that lead to health or that lead to disease,” he said. Although Biden will leave office next January, Hou said she expects the next administration will also prioritize cancer research.